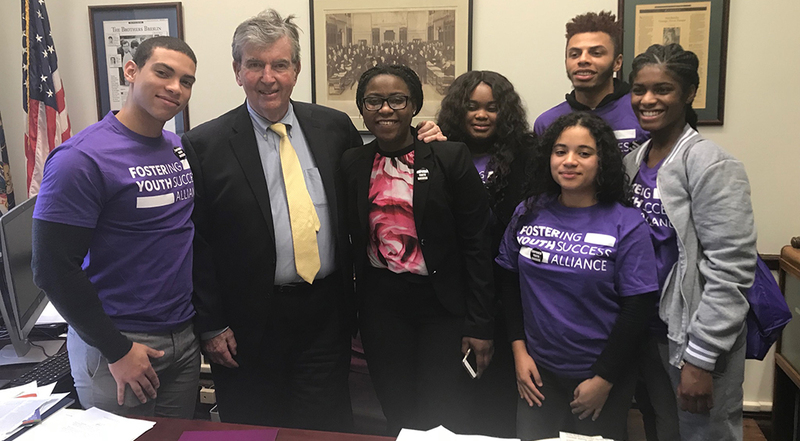 On January 29, the Fostering Youth Success Alliance (FYSA) hosted the first ever New York State Foster Youth Shadow Day. 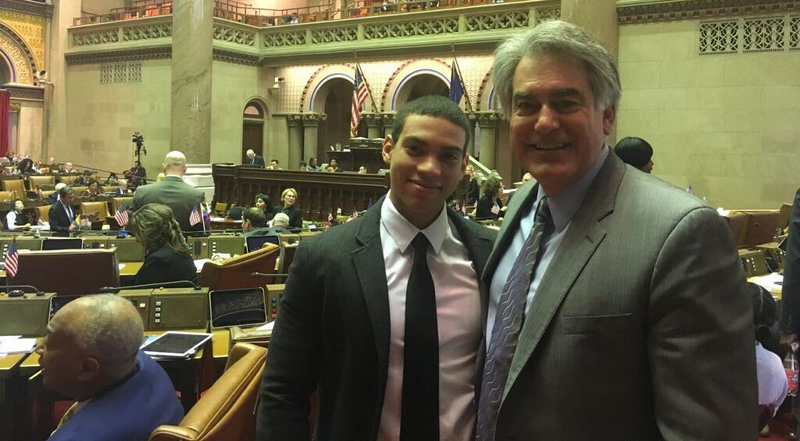 Twelve college students from across the state traveled to Albany and got the opportunity to shadow one of New York State’s assembly members, senators, or a staff member from the governor’s office. In the process, the advocates learned about how state government functions while becoming more civically engaged as youth advocates. Senator Neil Breslin, District 44, meeting with a group of students. The following day, FYSA hosted its annual Advocacy Day at the Legislative Office Building. Over 100 youth in care and alumni, staff, and child welfare workers joined us in Albany to advocate for the continued support and funding for the Foster Youth College Success Initiative (FYCSI). FYSA Advocates took to Albany to request the state invest $6 Million for FYCSI. Governor Cuomo’s proposed executive budget for fiscal year 2018-19 included only $1.5 million in funding, a $3 million reduction from last year. If funding is not restored to FY18 levels, two current cohorts of students will be without the essential supports and will likely not be able to continue on in college. Furthermore, without an additional investment of $1.5 million, the program will not be able to expand to a fourth cohort of students beginning college in fall 2018. Launched in 2015, FYCSI enhances existing opportunity programs at CUNY, SUNY, and independent colleges across New York to provide financial, academic, and social support services for youth in care attending college. These support help students apply to college and ultimately succeed once they get there. We thank the young people for sharing their stories on how FYCSI has improved their lives. We hope we were able to make an impact on the decision of elected officials to continue to fund the program!